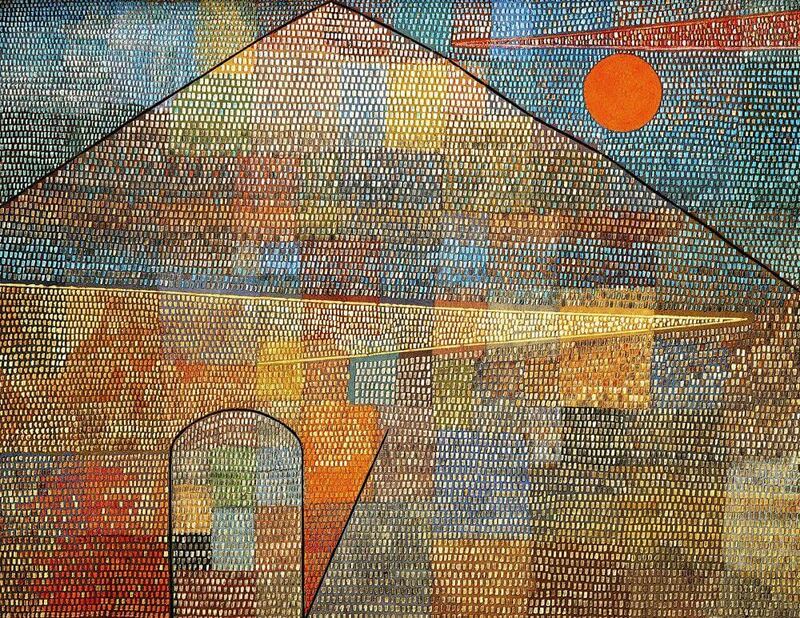 Ad Parnassum (1932) is considered to be Paul Klee's masterpiece and the best example of his pointillist style; it is also one of his most finely worked paintings. Ad Parnassum was created in the Dusseldorfer period. 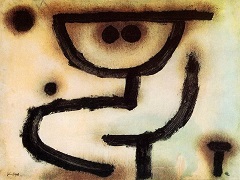 With 100 x 126 cm (39 x 50 in) it is one of his largest paintings, as he usually worked with small formats. 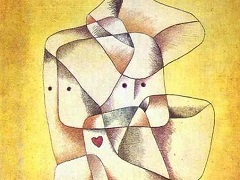 In this mosaic-like work in the style of pointillism he combined different techniques and compositional principles. 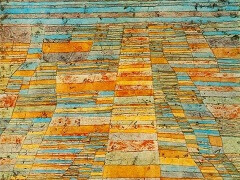 Influenced by his trip to Egypt from 1928 to 1929, Klee built a colour field from individually stamped dots, surrounded by likewise stamped lines, which results in a pyramid. Above the roof of the "Parnassus" there is a sun. The title identifies the picture as Apollon's and the Muses' place. 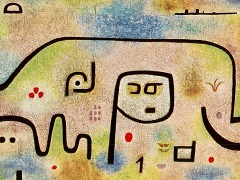 Around 1930 Klee often made use of this pictorial structure, which recalls the Pointillism of the late nineteen century. 'Divisionism' was his name for it. 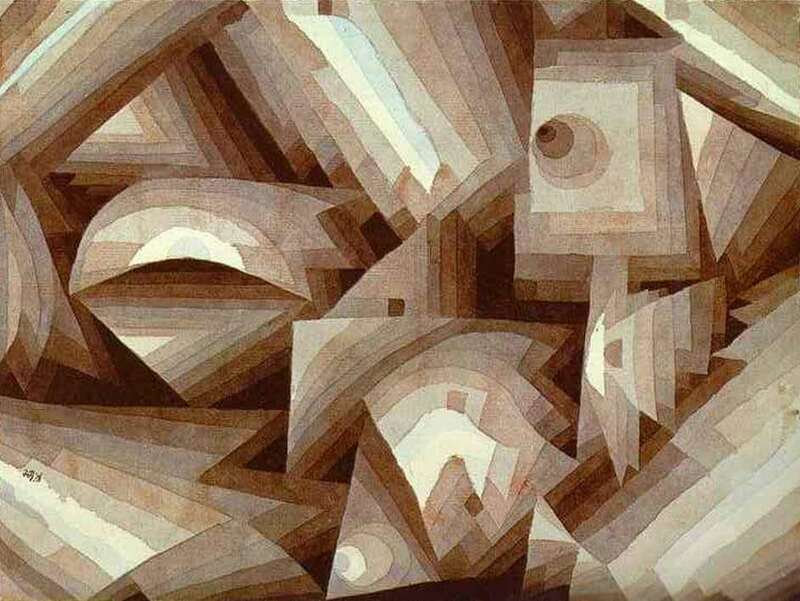 A further geometrical element appears within the 'divisionist' structuring - a triangle which, with no definite outline, exists solely by virtue of variations in the tonal gradations applied to the little squares. 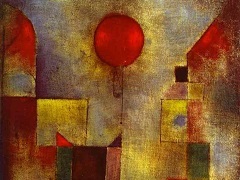 As a result, the picture seems multi-layered, spatial and suffused with light. One genealog of modern colour-light painting would progress from Georges Seurat to Klee. 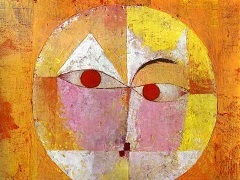 However, Klee was hardly interested in the theories of colour so essential to Seurat. 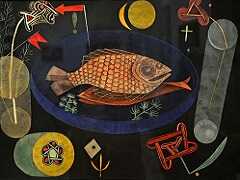 He simply made use of a pictorial method which, although its possibilities were soon exhausted, helped him to create a number of masterful works.